Dunlop – the pioneering manufacturer of tiling and flooring products for the trade – has made a significant investment in its sales and support teams following a period of sustained growth in the market. 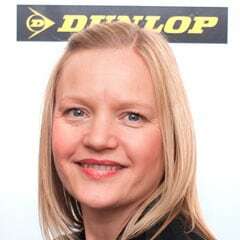 Joining the Dunlop sales team as Area Sales Managers (ASMs) are; Lewis Lupton (Northern England and Scottish Borders), Martin Chappell (Staffordshire, North West, North Wales), John Hunter (Central and Northern Scotland),Geoff Cavell (East Midlands), Keiron Birch (West Midlands and Wales), Andy Oates (London) and Nick Harman (Hants, Surrey and Berkshire). Commenting on the investment, Debi said: “The addition of seven new members of the sales team means that we can cover more areas of the country and provide a greater of level of support to our merchant customers. This means more face-to-face visits, more trade events and more product training. The team will work nationwide as and when called upon.